I finally received the coyote 5.0 block. It was discontinued by Ford Racing and is supposedly pending replacement by a revised version. The new block will no longer have the option for oil squirters and uses a slightly smaller diameter head bolt. 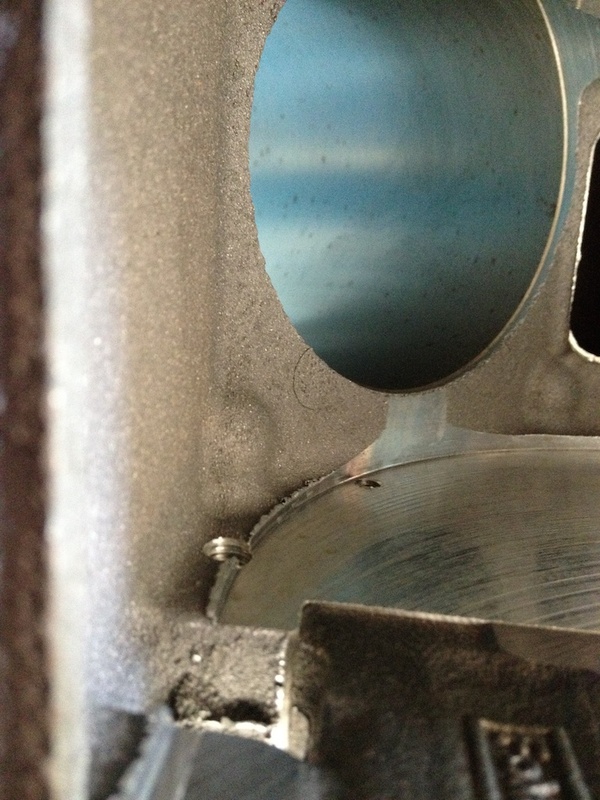 I wonder if there was some weakness in the deck of the previous block that necessitated the head bolt revision? 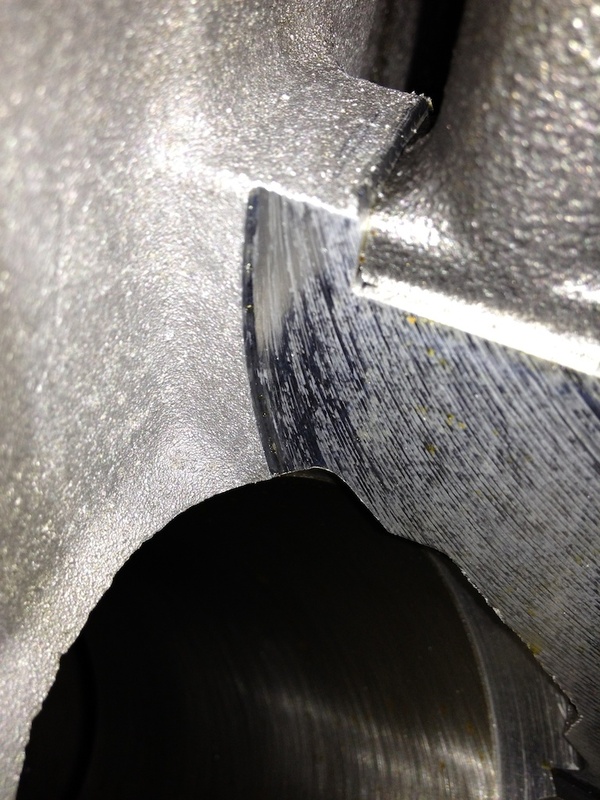 One thing that I noticed right away was that many of the machined surfaces inside the block had numerous burrs and shavings just waiting to fall off into the engine oil. Technically, these should get picked up by the oil filter but why chance it? I used a small round file to knock off all of the free/extra aluminum that Ford had to offer. I’m more comfortable with it on the floor of my garage vs my oil pan. 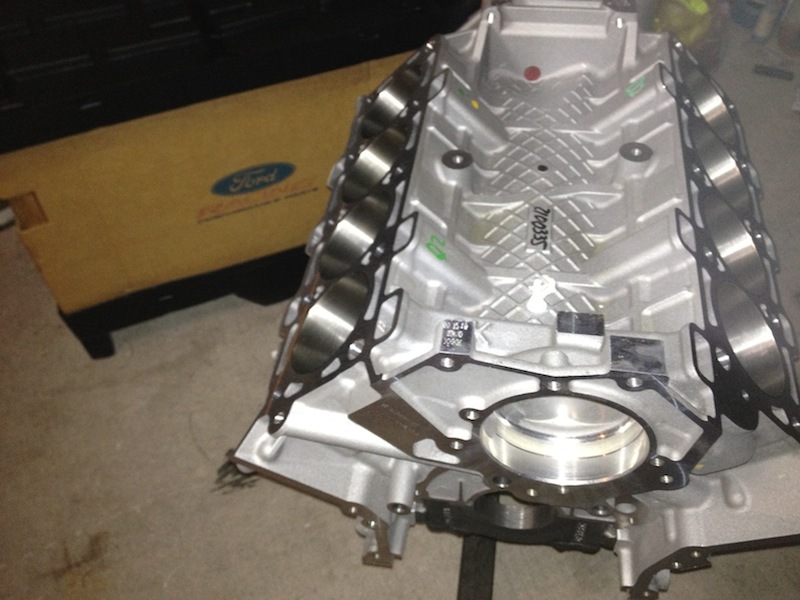 Was the block within spec from Ford, or did you have to take it to a machine shop? It was within spec. I did take it to the machine shop for measuring though. I asked them to pair the pistons with the most appropriate bore so that I wouldn’t end up putting the largest piston in the smallest hole or vice versa.